Born in Warsaw (Poland) in 1983, Julia Sokolnicka is an experimental and documentary filmmaker, writer and researcher based in Amsterdam. She’s an author of music, and dance videos and visual concepts for theatre and commercials. As a researcher she moves between social philosophy, video and performance. She continuously collaborates with other artists on projects in the field of theatre, dance, performance art and video art, working in Europe and in United States. Her film work comes from documentary practice and discusses the presence of an author in the cinema, and the space of the cinema itself, as well as performativity of filmmaking. Her work is shown both on film festivals as in gallery spaces. She studied Philosophy at Warsaw University and film directing in Warsaw’s Wajda School, and later in NFTS of University of Silesia in Katowice (PL). 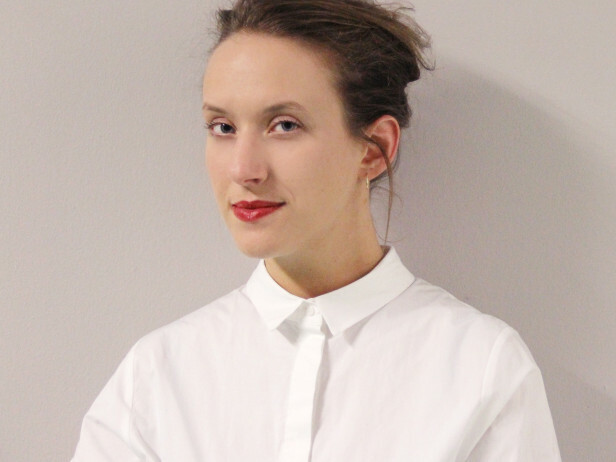 In 2014 she moved to Amsterdam where she graduated with Master of Film artistic research degree in 2016, with her documentary archive live mixed in the cinema “Digital Nomads” (2016) as well as a research “Reality and Realness- the selfie movie” on the use of mobile technology as a cinematic tool, building intimacy in the documentary film practice. She worked as a journalist and photo journalist for Polish, nongovernmental organizations online service ngo.pl in Warsaw, writing about cultural politics of the city. In 2012 she started an art directing company Susok first engaged in social entrepreneurship around ethical trade and vintage, organizing spaces outside of shopping malls, where residents of different ages and backgrounds could meet. She then moved to art directing and costumes and set design for theatre film and commercial media projects. Susok continues in Amsterdam as a Dutch freelance company, realizing commercial film projects, product styling and art directing consultations. As a documentary filmmaker she worked for teatr.pl co-creating an online television focusing on theatre in Poland. She then self produced few short documentaries and music video’s. Her short documentary “Side Roads” (2015) has received an international festival recognition. 2017-… – Art residency in Urban Resort, project “Lely” Amsterdam, CAWA- office for arts Gemente Amsterdam supported project integrated with the Refugee integration program. 2015- Bekker La Bastide Fond Rotterdam – Scholarship for the talented students for finishing studies in the Netherlands. Online research Publications for Master of Film studies at Nederlandse Filmacademie (AHK) in Amsterdam.